Greg enlisted in the U.S. Navy after high school and served for six years. He was stationed on board the USS Donald Cook (DDG-75) and completed his Naval service as a Fire Controlman First-Class. Greg first attended Tidewater Community College while working as a government contractor. After receiving his A.S. degree, he transferred to the University of Virginia where he graduated in 2016 with a B.A. in Foreign Affairs. 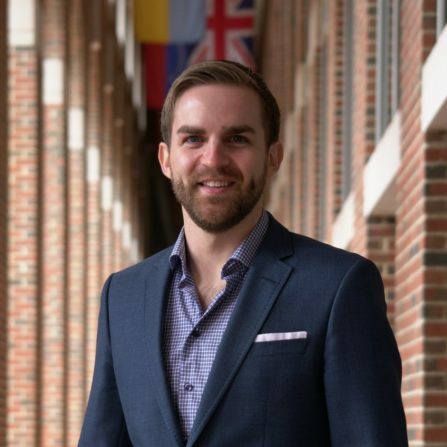 Upon graduation, he enrolled in the full-time program at UNC Kenan-Flagler Business School, and received his MBA in 2018. Greg now works in corporate sustainability in the energy industry.